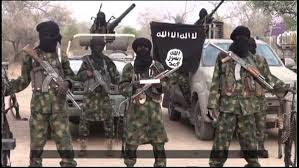 Twenty-six Nigerian women lost their lives while attempting to cross the Mediterranean sea, the BBC is reportingThe Nigerians are suspected to have been sexually abused and murdered at the sea. Italian prosecutors have begun an investigation into the deaths of the women, said to be mostly teenagers. The BBC also reports that their bodies were currently in a Spanish warship — Cantabria — at the sea which is also carrying hundreds of other migrants, including other Nigerian survivors. Twenty-three of the Nigerians were said to have been on a rubber boat with 64 other migrants prior to their deaths. 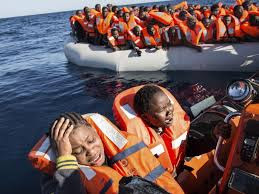 La Repubblica, an Italian medium, reports that a total of 375 migrants rescued from the sea and currently in the warship are sub-Saharan Africans from Nigeria, Senegal, Ghana, The Gambia and Sudan. Among the survivors were 52 children and 90 women, eight of whom are said to be pregnant. Each migrant is charged about $6,000 (£4,578) to get to Italy, by people-smuggling gangs, according to L’Abbraccio, an Italian aid group. 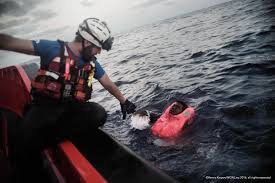 In March this year, 128 migrants, comprising Nigerians and other West Africans, had died in the space of 20 days while crossing the sea, the International Organisation for Migration (IOM) said then. Flavio Di Giacomo, IOM spokesman, had said then that the number made it 649 deaths recorded in the first 86 days of 2017.